Andrew M. Hendrick, MD joined the section of Vitreoretinal Surgery and Diseases of the Emory Eye Center on August 1, 2012. 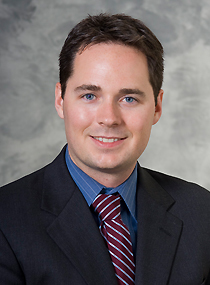 Dr. Hendrick received his undergraduate degree from the University of Wisconsin–Madison (2001). He attended medical school at Ohio State University (2002-06) and completed a preliminary medicine internship at Exempla St. Joseph Hospital in Denver (2006-07). He finished his ophthalmology residency at the University of Colorado (2007-10) and completed a vitreoretinal surgery fellowship at the University of Wisconsin-Madison (2010-2012). His clinical interests include retinal vascular disease such as retinal vein occlusion, medical and surgical management of diabetic retinopathy, age-related macular degeneration and retinal detachment. Dr. Hendrick is a member of the American Academy of Ophthalmology, the American Society of Retinal Specialists, and the Association for Research in Vision and Ophthalmology.